How you communicate with patients drastically changes everything from their experience in your clinic to the actual clinical outcomes from treatment. Learning how to effectively communicate with your patients goes a long way. 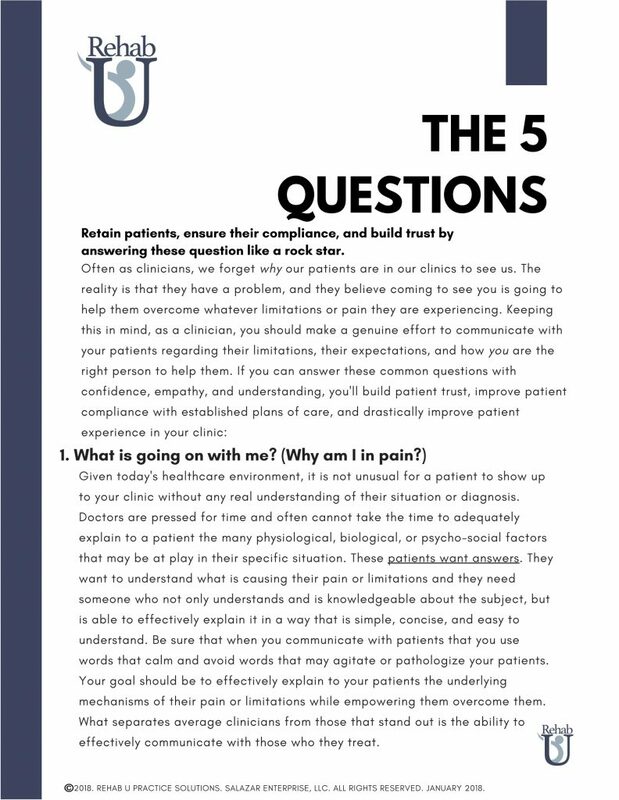 If you can answer these common questions with confidence, empathy, and understanding, you’ll build patient trust, improve patient compliance with established plans of care, and drastically improve patient experience in your clinic.